Invest in your home and reduce your heating bills with a brand-new roof from S Bowers Roofing Mansfield that’ll last for years to come. Here at S Bowers Roofing we specialise in all aspects of roofing. We offer a variety of new roofs including slate roofs, tiled roofs, flat roofs, pitched roofs, shed roofs, garage roofs and solar roofs. We understand that having a new roof is a big job and that you need the experts to help you decide what the best option is for your home. That’s where we come in, with free expert advice on your site visit to talk you through what type of new roof will work for you. We’ll give you the options in plain English, with no jargon, and if we think you can save some money with a roof repair or a re roof, we’ll tell you that, too. We put ourselves in our customer’s shoes and we don’t do high-pressure sales or try and sell you on something you don’t need. What you get is honest, clear advice on what’s best for your roof. And we’ll provide a free, no-obligation quote so you know exactly what the work will cost. 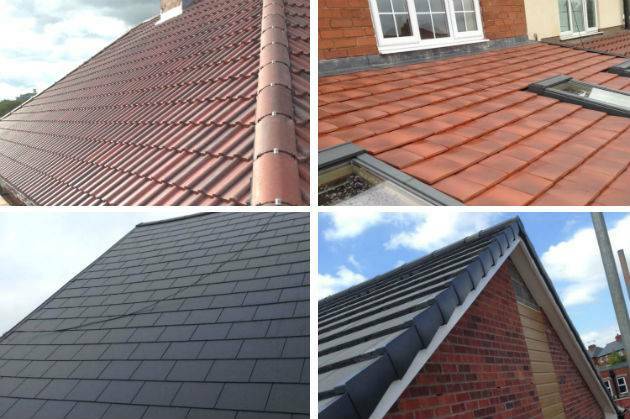 With over 20 years’ experience and a 10-year insurance-backed guarantee on all of our work S Bowers Roofing can provide you with all the help, advice and information you need when choosing your new roof. We take great pride in our work and we use only the very best roofing materials when creating your new roof. Our team provides 24-hour call out should you ever need it, and we'll be there as quickly as we can to assess your roof and sort the problem quickly for you. With expert professional advice and exceptional customer service, you can count on S Bowers Roofing to tell you exactly what the situation is with your roof and what needs doing. We don't baffle you with science or talk in jargon. We just give you the honest picture of what is wrong with your roof and what your options are. While we can, of course, create a whole new roof from scratch for you, if that's not your best option right now, that's the advice we'll give you. And if you do go ahead with your new roof, you can be absolutely sure that our specialist team will complete it to our very high standards. We'll also provide you with a written, 10-year guarantee for complete peace of mind, and ensure your home is put to rights with minimum disruption by clearing everything away afterwards. Don't wait around for a bad roof to get worse. Just call S Bowers Roofing and let us take care of everything for you. A: We can’t tell you that without a site visit, but it’s free to get an assessment of your roof, and we’ll give you our professional opinion on what you need, along with a free, no-obligation quote. We’ll never sell you what you don’t need and if we can repair your old roof or re-roof part of it, we will. But we’ll also tell you what’s cost effective - there’s no point in spending almost the same amount on repairs as you would on a new roof. Q: How long does a new roof last? A: Around 50 – 60 years. We offer high quality work - we do it once, and we do it right, and we always use the very best, top quality roofing materials. Q: How long will my current roof last if I don’t have it replaced? A: We couldn’t tell you that without seeing it and inspecting it carefully, but we will do a site visit and give you our professional honest opinion. We’ll also provide you with a free, no-obligation quote. What we can tell you is that it depends on the current state of your roof and also on the weather conditions over the next 10 years or so. Let S Bowers Roofing take care of everything. We’ll get your new roof done and your home back to warm and cosy. Give us a call and we’ll arrange your free site visit and no-obligation quote.